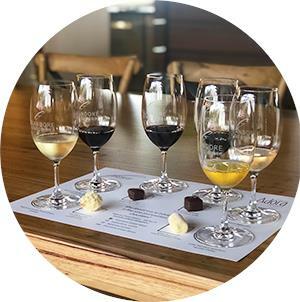 Members and guests may enjoy a sumptuous Wine & Chocolate Experience beautifully matched to our range of wines. Hand crafted chocolates by Adora make for the ultimate indulgence when paired with wine. Using vibrant and fresh ingredients Adora creates high quality and unique handmade chocolates, that compliment an unforgettable Hunter experience. Please be aware that is a Cellar Door experience only and we will be in contact with you to arrange a time for you to enjoy this unique pairing.